Cook the pasta as per instructions on the packet (usually cooked for about 12 minutes until its aldente). I have tried a few gluten free brands. I’ve found ‘Buon Tempo’ brand to be just fine, without the heaviness of normal pasta, but still giving the family one of their favourites and without them even noticing the difference. Then simply chop the tomatoes in half, cut the prawns into smaller pieces and add both to the pasta once it is ready. 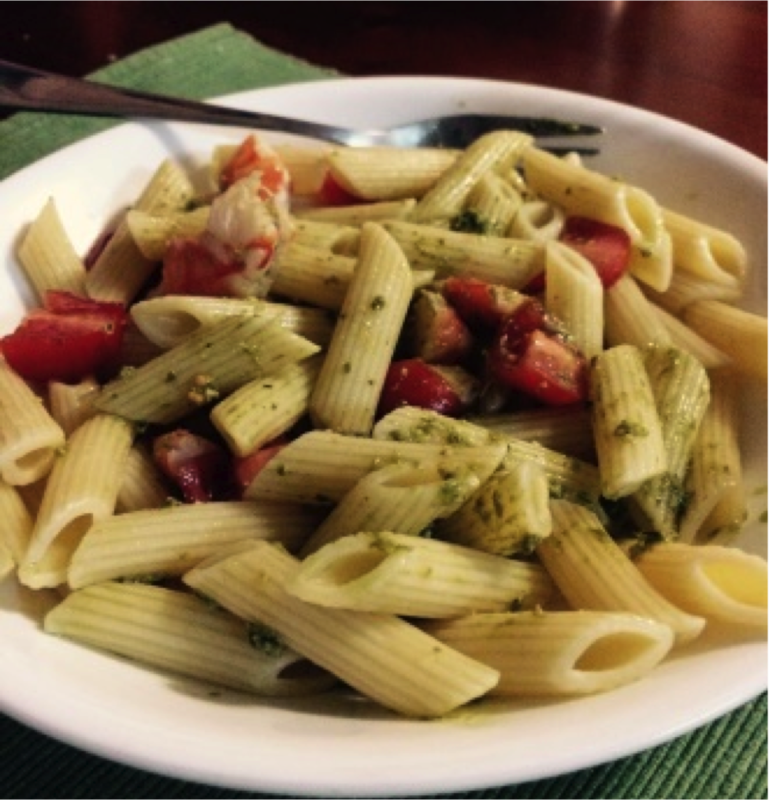 Stir through along with the pesto and your lemon/lime juice and there you have a very quick and easy holiday meal. This has been prepared for me by my daughter Em many times, for a quick weekend meal. Literally takes as long as it takes the pasta to cook and you have a tasty home cooked meal to enjoy together.